I would like to acknowledge and thank Colorado Creative Industries and National Endowment for the Arts for their funding to make many of these shows possible. Public art installation of 5 images in Downtown Denver at 1600-1700 block at Market Street and Blake Street. Launch party 11/9 4-6:00 at Lucky Pie Pizza & Taphouse, 1610 16th St. Denver. Center for Fine Art Photography, 400 N. College Ave., Fort Collins, CO. Opening reception is October 20th, 6-8:00 p.m. 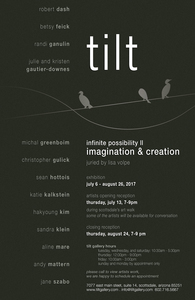 Opening reception 7/13 7-9:00 p.m., Closing reception 8/24 7-9:00 p.m. 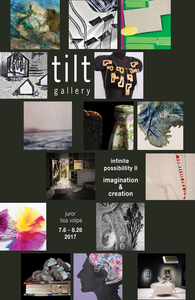 Opening reception is June 22, 5-8:00 p.m. Images will be in galleries and outdoor locations throughout the city of Denver and cities around the world including: Paris, France; Bondi, Australia; Venice, Italy; Vienna, Austria; Berlin, Germany; London, England; Bulgaria; Mexico City; Buenos Aires, Argentina; Los Angeles; Portland; NYC, and Brooklyn, NY. Artworks Loveland, 310 N. Railroad Ave., Loveland, CO. Opening reception is March 10th, 6-9:00 p.m.
Apr 1 - May 11, 2016 Constructed Image show at Open Shutter Gallery, 735 Main Avenue, Durango, CO.
January 7-30, 2016 My work will be at the TILT Gallery show Photography Re-Imagined V: The Artist's Hand. 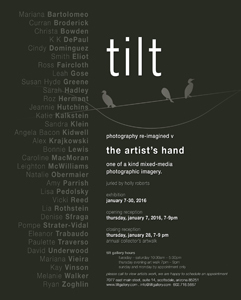 Opening reception is 1/7 7:00-9:00 p.m. 7077 E Main St #14, Scottsdale, AZ​. Closing reception is 1/28 7-9:00 p.m.
9/4-10/31/2015 Diffusion Annual group show, Center for Fine Art Photography, 400 N. College Ave., Fort Collins, CO.
6/5-7/18/2015 Landscapes, at the Center for Fine Art Photography, Fort Collins, CO. Reception is 6/5 from 6:00-9:00. Juried by Chantel Paul. Director's Honorable Mention award. 3/5-4/3/2015 What Has Never Been.. Is. 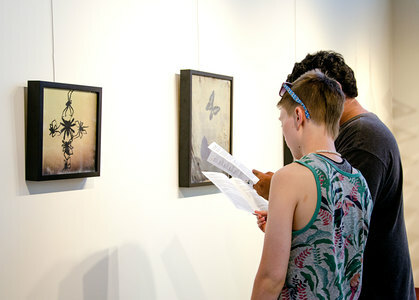 Group show at Hinterland Art Space gallery, 3254 Walnut St., Denver. Reception is March 5th from 6-11:00 p.m. Juried by Bobbi Walker and Valerie Santerli. Jurors' Choice Award. 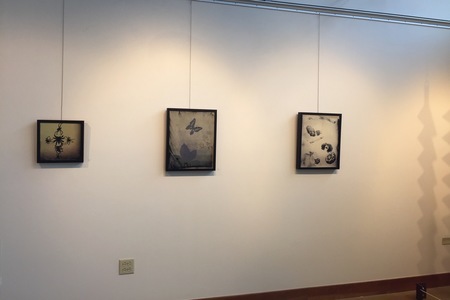 2/23-3/18 Alternative Processes show, Art Students League Gallery, 200 Grant St., Denver. Reception is March 6th from 5:30-8:00 p.m.
Two images chosen for Denver's Month of Photography Big Picture to be pasted around Denver and various cities around the world. One is outside Redline Gallery. 1/8-2/7/2015 CPAC's Inspiration, Colorado Photographic Arts Center gallery, 1513 Boulder St., Denver. 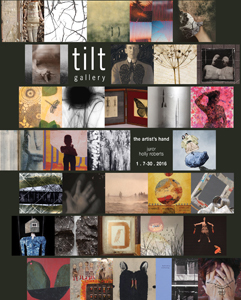 Opening reception Friday 1/9 6-8 p.m.